Day one of the Jay Cutler Living Large mass trainer begins with chest. Today, we're promoting growth with heavy sets of 10 reps. It's bodybuilding 101! Elbow position is crucial with pressing movements. "You don't want to push with your shoulders and triceps," says Cutler. "You want to push with your chest, so move your elbows a little inward. If your elbows are out, you'll use your shoulders and triceps to move the bar. Your chest should be the highest point on your body. 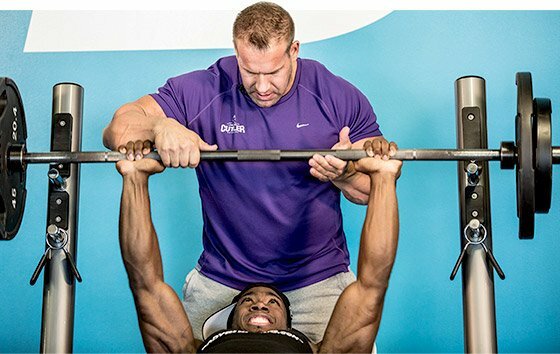 Push the bar upward and feel your pecs contracting." 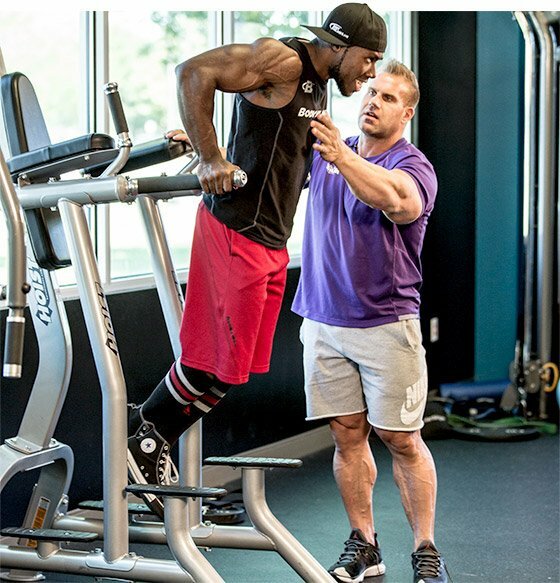 "I see a lot of people in the gym who are pressing over and over and just doing the work with their triceps," Cutler adds. "That's why you see a lot of underdeveloped chests." The bench press is the meat and potatoes exercise for the chest. But, you have to do it correctly to get the best results. "Focus on contraction," Cutler says. 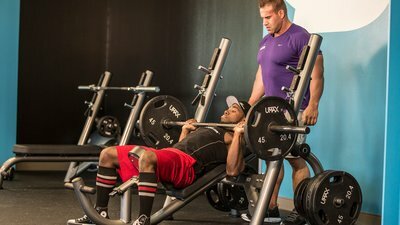 "You see a lot of people in the gym doing cheat reps and bouncing the bar off their chests because they're using more weight than they can handle. I'm a bodybuilder. I'm not focused on how much weight I'm using. I want to feel that burn. Keep your chest up and contract your pecs." Although bodybuilders aren't exclusively focused on hitting a massive one-rep max, Jay has some advice if you're stuck and can't seem to improve: "Train lighter for a couple of weeks and then go back to a max-effort workout. You'll probably be better. If you're constantly training heavy, you're just exhausting yourself." "Everyone's mind is stuck on how much weight he can hit. That's not what is important." "As you probably know, the chest gets engorged with blood from pressing movements," says Cutler. "Now we're going to stretch it out to engage more muscle fibers and get more blood and nutrients into the area." Jay's advice about selecting weight is consistent throughout his workout. "Everyone's mind is stuck on how much weight he can hit. That's not what is important. It's all about the contraction and how to get blood into the area. If you use too much weight, you can't get the arms out very far to stretch out the chest." "Don't try to get more reps than you can do by yourself, even if your partner is yelling at you. If you get to the point where your partner is doing all of the work, you're done," Jay says. 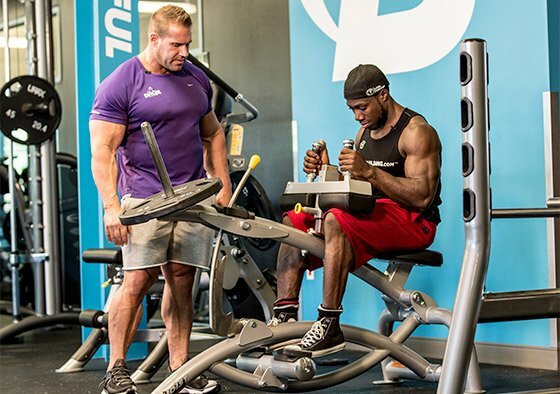 "This movement was a staple for a lot of my Olympia training," Cutler says. "It creates that nice, round look. The key to doing this exercise well is keeping your legs back and leaning your chest forward. You're not trying to lock out the triceps; you're trying to lock out the chest. That's why the lean is really important. If you lean back, it's hard to lock the chest, but if you're forward, the chest will lock before the triceps." When it comes to weighted dips, Cutler didn't need to add any extra iron. "Because I weighed 300 pounds, I usually only used my body weight," he says. "If you're heavy enough, bodyweight dips are fine." Focus on the contraction in your pecs and getting all 10 reps. Don't worry about strapping on a dip belt or weighted vest. "We've pumped a lot of blood into the chest, now we want to stretch it out" says Cutler. "This movement is like the fly: You'll stretch, contract, stretch, contract. I like this movement because it will stretch out the ribcage, which is really important on those side poses." "I don't see as many people doing these," he adds. "In Vegas, there are a lot of young guys in my gym. I never see any of them doing this exercise. It's a shame because it's effective." "The most common question I get is, 'How do I get my calves bigger?'" Cutler says. "I try to tell everyone to train them like every other body part. I trained my calves once per week, usually on chest day. I mainly stuck to standing and seated calf raises with heavy weights. "My theory is that, because you walk around on your calves all day, you're already doing a lot of reps with light weight. Why would I go into the gym and do the exact same thing? So, I did heavy weight and got those full contractions." If your gym lacks equipment, Cutler reminds you to improvise. "There isn't always a standing calf raise machine available, so you can make your own," he suggests. 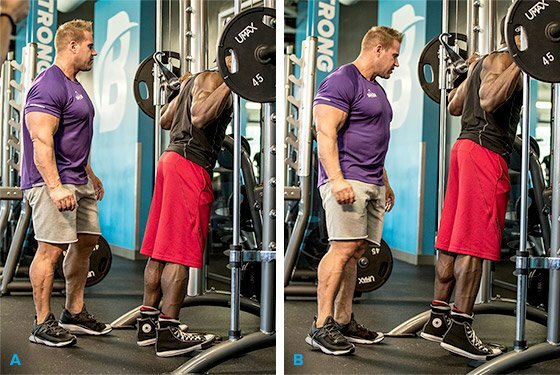 "Use a Smith machine and put some plates down so your heels have something to drop off of. It's just as good as doing a calf raise in a machine." "I don't pause too much when I do these," adds Cutler. "Keep your momentum and keep a slight bend in your knees." For the final exercise of day one of Living Large, Jay prescribes a seated calf raise. "Sometimes it's good to hold it at the top for a second," he notes. "You don't have to hold the contraction any longer than that." If you're completely gassed by this point, try another of Cutler's favorite techniques: rest-pause sets. "When I get tired, I like to do rest-pause," says Cutler. You're going to push to a certain rep range, then you'll get to a point where you're only going backwards. When that happens, pause, let your mind rethink, and then restart your repetitions." 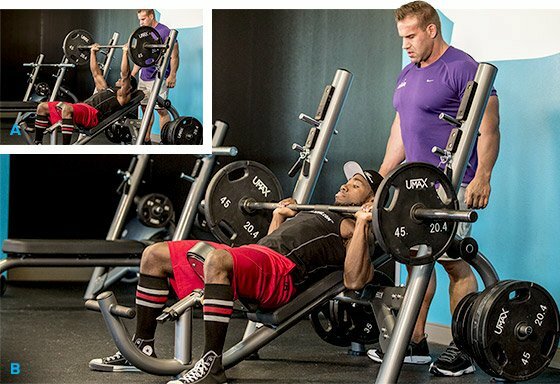 For more of Jay Cutler's workouts and pro tips, check out the entire Living Large program. Drop your questions, favorite tips, and call-outs in the comments section below! This is your chance to lift, eat, and live like a legend. It's a master class in building badass mass. Step into the life of Jay Cutler and build your best body. 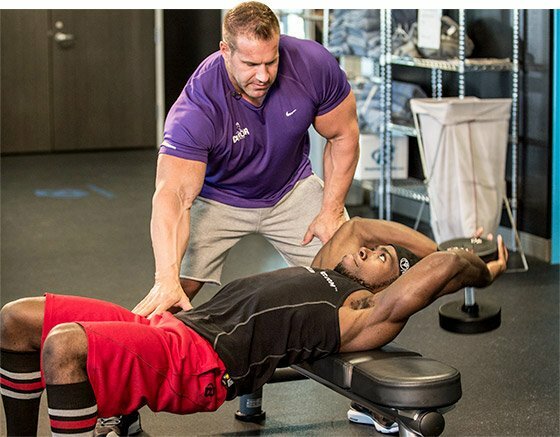 Want to build a chest to challenge some of the best? 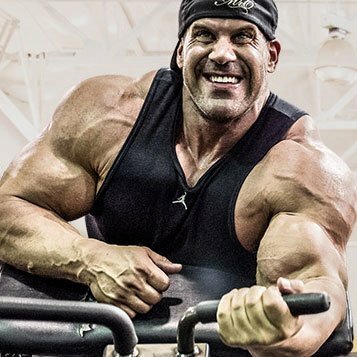 Take a few pointers from Jay Cutler's old-school, tried-and-true training style discussed in this exclusive interview!